These convenient offices are on one of the most famous streets in the City of London, Lombard Street. Occupying an impressive building, the centre is ideally located for those working in local investment and retail banks, insurance brokers, law firms and financial publishers, as well as wider business users. The office space is over 10 floors and features a light and airy atrium spanning three floors. It has a suite of 14 meeting rooms catering for flexible group numbers up to 50 people. The centre also benefits from high-speed internet access throughout and a business lounge for work on the move. Disabled facilities and showers are also available to freshen up if you've been on the road. 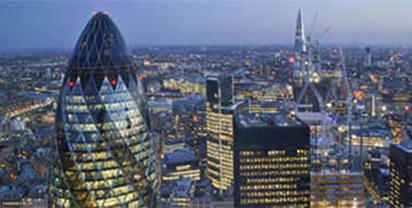 The City is a renowned international financial centre and is the home of the Bank of England and other iconic institutions. Regus London Lombard Street is located less than 100 metres away from Bank DLR, underground station and is close to the Bank of England. Within easy walking distance of Bank and Monument tube stations and London Cannon Street rail station, these serviced offices are in a prime location in the City.